The Texans announced that they have released guard Jeff Allen from the Reserve/Physically Unable to Perform list with an injury settlement. Allen was placed on PUP in May after two years of dealing with concussions and ankle injuries. Allen was already off of the 90-man offseason roster thanks to the designation, but today’s transaction will allow him to seek work elsewhere. It’s not immediately clear whethe the 28-year-old will continue to play football. 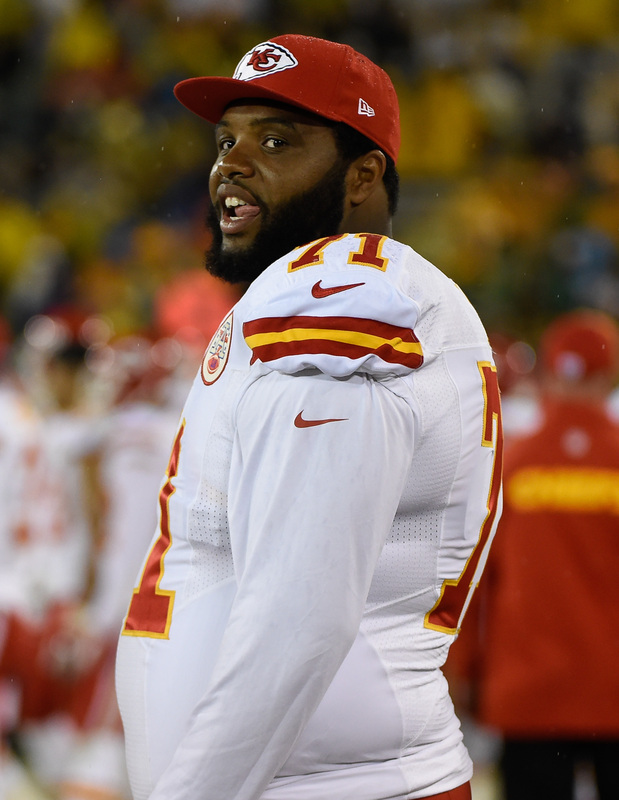 A second-round selection by the Chiefs in 2012, Allen spent four seasons in Kansas City where he primarily played left guard, but also spent time at left tackle and right tackle. He made the move to right guard upon his arrival in 2016 missed six games for Houston with those injury issues. Prior to his release, he had two years remaining on his deal, with base salaries of $5.75MM (2018) and $6MM (2019). The Texans project to start newcomers Zach Fulton and Senio Kelemete at the guard spots this year. Greg Mancz and Chad Slade, meanwhile, appear to be in line for the top reserve spots. The Texas put starting right guard Jeff Allen on the reserve physically unable to perform list, Aaron Wilson of the Houston Chronicle writes. Since signing a four-year deal with Houston in 2016, Allen has been plagued by injuries, including concussions and ankle ailments. With the move, the veteran will no longer count against the team’s 90-man offseason roster limit. A second-round selection by the Chiefs in 2012, Allen spent four seasons in Kansas City where he primarily played left guard, but also spent time at left tackle and right tackle. He made the move to right guard upon his arrival in 2016 but has missed six games with those injury issues. He has two years remaining on his deal, with base salaries of $5.75MM (2018) and $6MM (2019. Steelers defensive end Stephon Tuitt has a chance to play this week against Minnesota, coach Mike Tomlin told reporters on Tuesday (Twitter link via Jeremy Fowler of ESPN.com). Tuitt has been classified as week-to-week with his bicep injury. In light of the Zach Strief injury news, Nick Underhill of The Advocate (on Twitter) notes that likely replacement Senio Kelemete can earn $200K by playing in 50% of the team’s snaps and up to $600K at 70%. The Saints will be without the tackle for at least a few weeks. Texans guard Jeff Allen is expected to miss at least one game with an ankle injury, Mark Berman of FOX 26 tweets. Allen, one of Houston’s starting guards, is in year two of a four-year, $28MM pact. He appeared in 14 games last season, all starts. Wide receiver Cobi Hamilton is working out for the Texans this week, a source tells ESPN.com’s Jeremy Fowler (on Twitter). The former Pittsburgh receiver could round out a banged up unit that is missing both Bruce Ellington (concussion) and Will Fuller (collarbone). The Chiefs gave running back Akeem Hunt an upgraded practice squad contract, Aaron Wilson of The Houston Chronicle tweets. He’ll now make $36K per week, which comes out to $615K for the year. Hunt signed on with KC’s taxi squad on Sept. 5 and it sounds like the Chiefs weren’t the only team interested in his services. THURSDAY, 3:17pm: The Texans officially announced that they have signed Allen (Twitter link). WEDNESDAY, 2:44pm: Shortly after agreeing to deals with quarterback Brock Osweiler and running back Lamar Miller, the Texans are set to add yet another big-time offensive piece. The team is expected to sign guard Jeff Allen, according to Ian Rapoport of NFL.com (Twitter link). The deal is done, per FOX Sports’ Mike Garafolo (on Twitter), and Allen will receive $28MM over four years. He’ll get exactly half of that ($14MM) next season. 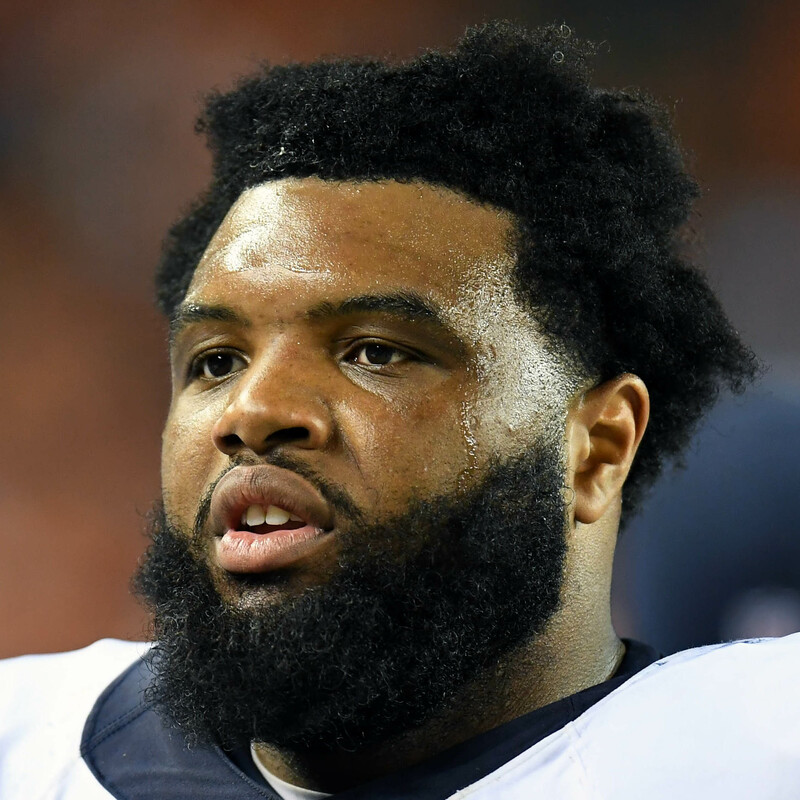 Allen, whom the Bears and Eagles were reportedly pursuing as of earlier this afternoon, will take the place of the departed Brandon Brooks – who’s signing with Philly — in Houston. The 26-year-old spent the first four seasons of his career in Kansas City after it selected him in the second round of the 2012 draft. All told, he appeared in 44 regular-season games and totaled 36 starts. Last season, the advanced metrics at Pro Football Focus (subscription required) rated Allen as the 10th-best guard in the NFL, giving him a strong 88.8 grade for run blocking and a solid 77.4 grade as a pass blocker. PFR’s Luke Adams ranks Allen as the 27th-best free agent in this year’s class. The Vikings are negotiating to bring back tight end Rhett Ellison, according to Ian Rapoport of NFL.com (Twitter link). If Ellison can’t be retained, however, one option to replace him might be free agent James Hanna, formerly of the Cowboys, a source tells Chris Tomasson of the St. Paul Pioneer Press (Twitter link). Terence Newman is also a Vikings free agent, and the club will talk to his agent once again later tonight or tomorrow, tweets Darren Wolfson of 1500 ESPN. Wolfson also says that Minnesota did not show interest in guard Jeff Allen, as Alex Boone was their target all along. The Steelers like veteran safety Eric Weddle, a source tells Aditi Kinkhabwala of NFL.com (Twitter link), but the club thinks he’s too expensive at the moment. Pittsburgh is hoping Weddle’s price falls. Free agent offensive lineman Ted Larsen will take a visit with the 49ers, tweets Mike Garafolo of FOX Sports (Twitter link). The Bears are not done looking for free agent offensive lineman, even after agreeing to a deal with Bobby Massie, reports Adam Jahns of the Chicago Sun-Times (Twitter link). Texans restricted free agent corner A.J. Bouye is drawing interest from other clubs, but no offer sheet is yet on the table, according to Aaron Wilson of the Houston Chronicle (Twitter link). Bouye was tendered at the lowest level, so Houston won’t get any compensation if it fails to match an offer. 12:19pm: Allen could command between $6MM and $7MM per year, tweets Brad Biggs of the Chicago Tribune. 12:00pm: The Bears and Falcons are among the teams pursuing guard Jeff Allen, Alex Marvez of FOX Sports tweets. It’s not immediately clear how involved the incumbent Chiefs are in his free agency, however. Last season, the advanced metrics at Pro Football Focus (subscription required) rated Allen as the No. 10 guard in the NFL with a strong 88.8 grade for run blocking and a solid 77.4 grade for pass blocking. Those scores put Allen as the second-best available free agent guard this offseason behind veteran Richie Incognito. In total, Allen saw 321 pass snaps and 272 run snaps for KC. The Eagles were previously listed as a potential suitor for Allen given their need for interior line help and Allen’s connection to new head coach Doug Pederson. At this time, however, it doesn’t sound like they are a leading team for his services. After Manning’s decision, and with free agency set to officially open on Wednesday, Ian Rapoport of NFL.com tweets that the Broncos‘ negotiations with Brock Osweiler will really begin to ramp up. Adam Schefter of ESPN.com tweets that Osweiler may indeed re-sign with the Broncos, but that is far from a certainty at this point. As Schefter observes, other quarterback-needy clubs could make it difficult for Denver to retain the fifth-year signal-caller. Even though the Seahawks are interested in retaining him, LT Russell Okung is intent on hitting the free agent market, per Rapoport (via Twitter). Rapoport tweets that Mario Williams stayed the night in Miami after visiting the Dolphins, and while Williams has other visits lined up, Rapoport says that Miami could keep him from taking those visits. Panthers GM Dave Gettleman does not spend big in free agency, but if he makes an exception this offseason, Joe Person of The Charlotte Observer identifies Eric Weddle and Bruce Irvin as two players that would make a great deal of sense for Carolina. Aaron Wilson of The Houston Chronicle tweets that the Texans will be active in exploring the top of the free agent running back market after parting ways with Arian Foster. Wilson names Chris Ivory, Doug Martin, Lamar Miller, and Matt Forte as possibilities for Houston. The Eagles will certainly invest free agent dollars and draft picks in their offensive line this offseason, and Jeff McLane of The Philadelphia Inquirer names Jeff Allen and Brandon Brooks as realistic targets for the club. Free agent wide receiver Anquan Boldin, unsurprisingly, wants to continue his career with a title contender, according to Rand Getlin of the NFL Network (via Twitter).